Welding Research Council Bulletins WRC-107 and WRC-297 are widely used by Engineers to investigate piping (and other) loads on nozzles within COMPRESS. However, what should you do if you have geometries that the WRC Bulletins do not cover such as “large” nozzles on formed heads or nozzles on flat covers? Is the ability to perform FEA on nozzles a standard COMPRESS feature? How does it work? Yes, this feature is included in each Standard COMPRESS License. After you've defined the loads, click the FEA button on the tool bar or Ctrl + right-click on the nozzle itself to begin the analysis. Review your results and, if necessary, modify your design. Once complete, the FEA output is automatically included in your COMPRESS report, making results easily available for third party review. 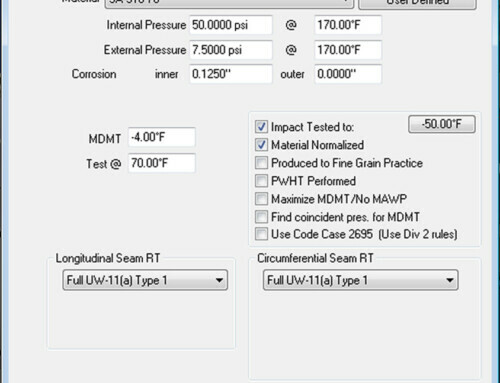 The FEA capability within COMPRESS was developed by PRG, the leading FEA experts for vessels and piping. This analysis of combined cyclic pressure, thermal and mechanical loads is based on the design by analysis rules of ASME Section VIII, Division 2. 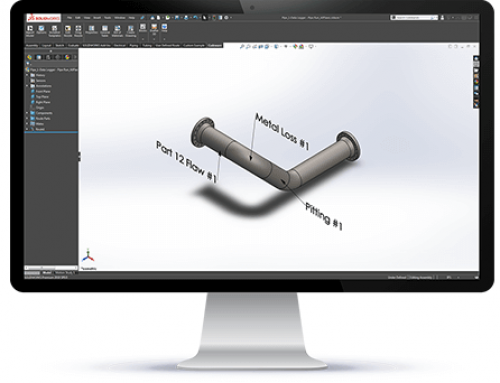 If you don’t have software that performs finite element analysis, it’s time to explore the benefits of COMPRESS. Find out more by emailing sales@codeware.com or calling (941) 927-2670. Codeware was founded in 1983 in Ontario, Canada. We opened our first U.S. office in 1993. We currently have offices in Sarasota, Florida and Austin, Texas. Codeware's founder, Les M. Bildy, P. Eng., has served as President since 1983. Why Perform UG-99 Hydrotest Stress Calculations? Engineering is at the core of Codeware. Our philosophy is that very specialized knowledge is needed to properly interpret and program the rules of the ASME Code. That's why Codeware's programming team is comprised primarily of Mechanical Engineers who are also Software Developers. It is common to see members of our software development team gathered around a white board debating the engineering merits of an approach before implementing it in Codeware's COMPRESS Software or INSPECT Software. Codeware personnel are actively involved with the American Society of Mechanical Engineers (ASME). Codeware's Founder and President, Les M. Bildy, is the principal author of Part 4, paragraph 4.5 of the new Division 2 Code. Mr. Bildy also coauthored WRC-529 "Development of Design Rules for Nozzles in Pressure Vessels for the ASME B&PV Code, Section VIII, Division 2" which was released in December 2010. 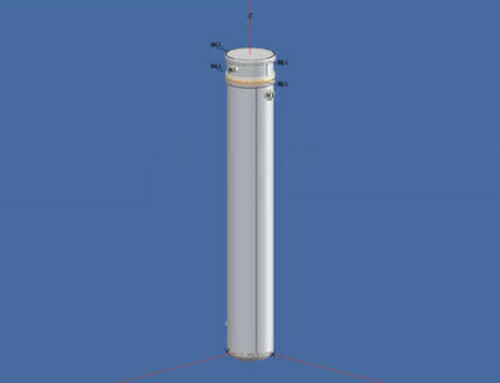 "In our 20 plus years of using COMPRESS including the design, quotation and fabrication of in excess of 10,000 pressure vessels, we have come to rely on the accuracy and dependability we get each and every time." "We have been using COMPRESS since its inception. Les Bildy has developed a first rate product. We have found it very user friendly, and can't imagine our company succeeding without it."